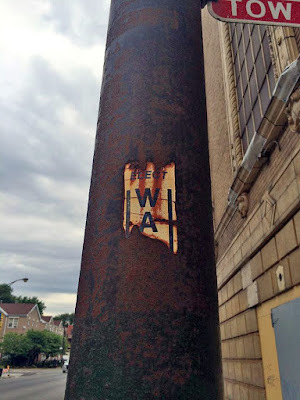 A member of Facebook's "Forgotten Chicago" page posted this photo and said, "Saw this remnant of a sign along Lawrence Ave., right behind the Uptown Theatre. I wonder which election it was for?" And the answer? Dan Walker, who successfully ran for governor of Illinois in 1972. And yep, he ended up in jail for bank fraud, but after he was out of office, which by Illinois gubernatorial standards, makes him almost squeaky-clean. This seems unlikely to me. Punch numbers were based on placement on the ballot, and I'm doubtful that a candidate for Governor would have been 86 rather than maybe 12 or 15. Back in 1972 we did have Presidential and Governor's contests on the same ballot, unlikely today when they're held in different years. But still, I don't see him being #86. I'd guess there was a state rep or MWRD candidate in the intervening 43 years. I'm also just skeptical that a bumper sticker would last 43 years. 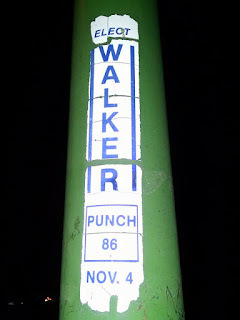 In fact, Nov. 4th 1972 was not a Tuesday, so this is certainly not Dan Walker. After plugging some dates into an internet site, Nov 4th was a Tuesday in 1975, 1980, 1986, 1991, 1997, 2003, 2008 & 2014. Chicago has no odd-year November elections, so we're down to 1980, 1986, 2008 and 2014. I found some online listings of punch numbers in 2014. 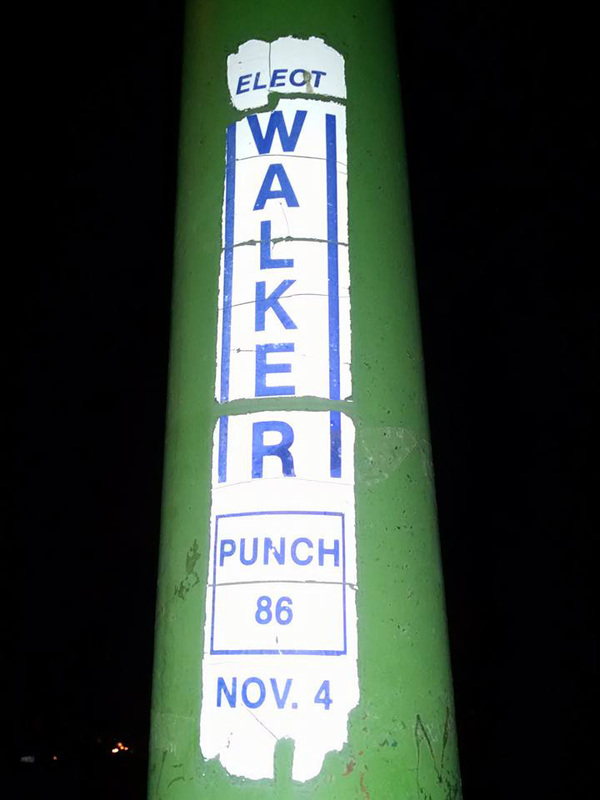 Not for Uptown, but by figuring out where 86 would have fallen (around the judicial subcircuit), I don't think there was a Walker as #86 in 2014. I'd guess 2008. I just don't think that sticker lasted 30 years.